Spent every night this week researching Asheville (and conferring with my Southern friends y'all) and think we have the BEST trip planned. Dinner res at Chestnut tonight and The Admiral tomorrow, long hikes in the morning to work up our appetite for Biscuit Heads, a brewery list a mile long (plus a distillery tour if we wanna get saucy), and bopping around downtown for chocolate, cheese, coffee, and cocktails, our holy 4 C's. 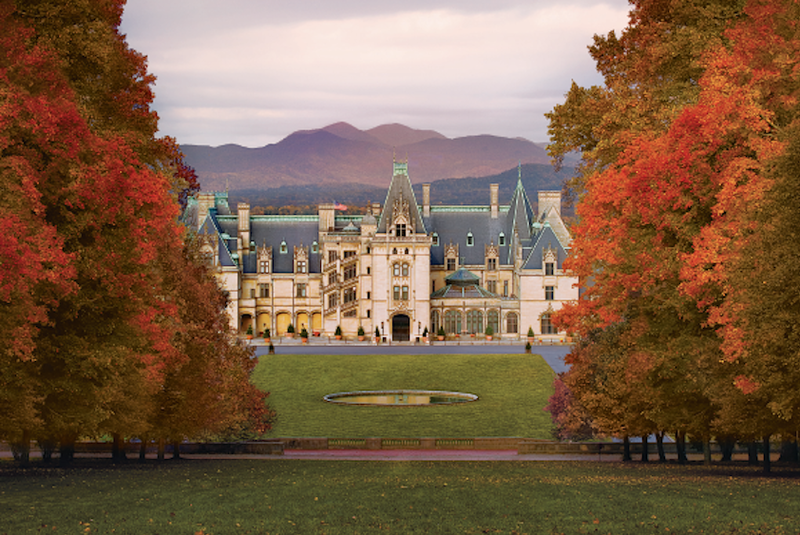 Of COURSE a visit to Biltmore Estates, the largest private residence in the US. That's royalty up there and I can't wait to see it....and the 5 antique shops located within a mile. If you have any further ideas for me, do share. Photos to come. I use Yelp on occasion when looking for a new restaurant in one of my work regions, and I've witnessed some pretty silly, and in my opinion, irrelevant reviews. This Kansas City restaurant fired off a most sassy reply to a one star review. I always love when both sides get in the mud. How cool is this: Scoopshoot will help connect you and your amazing instagrams to companies that want to purchase your work. Basically, it's a crowd-sourced stock photo website. Sell your snaps for a mutually agreed upon price, usually $5-$50, to news outlets, big brands, anyone that's buying. You can just snap away as normal or you can post specifically to "tasks" they have assigned- a recent request for pictures of boats, kayaks, canoes, yachts, and ships received 2,500 submissions. If you're taking the picture anyway, might as well make a buck. Ok, I don't have a link for this one, but Pinterest taught me something amazing this week. Remember all that spiralize info I shared with y'all this week? Well, if you want rice-like texture from your veggies instead of pasta-like texture, try this: spiralize a sweet potato, than pulse the noodles in a food processor until they are a crumb-like consistency. VEGGIE RICE FOREVER. Also works with squash, carrots, PLANTAINSohyum, and other harder produce. I'm going to make my mom's stuffed bell peppers recipe using this idea! Go get some free art! D will be jealous, he wants to print this one. Don't forget that you can print architecture prints (sometimes called engineering prints) for a few bucks at FedEx. Costco also does large scale. Keep in mind it's only black and white and won't be crystal clear, but that sounds ideal to me. Is this the cutest fall dress there ever was? Yes.